Sony On Sales: "We Do Not Think We Have Any Problems"
Life-to-date Japanese Vita sales are 535,423, by Media Create's working. The handheld looked to be off to a flyer after posting first-week sales of 321,407 units. But Vita quickly ran out of steam, and sales slumped as low as 15,000 units a week. Vita only managed to claw back higher seven-day sales than PSP last week. And they were a far cry from Nintendo's 3DS total, which has been more than four-times Vita's tally in recent weeks. Sony's fearless new leader, Kaz Hirai, slamming his hand down on the table. "Now the company has not publicly announced the units of shipping and sales. At the appropriate time, we would do so,"
Brand new Sony CEO Kaz Hirai "wants to prioritise Playstation Brand"
Sony's chief financial officer Masaru Kato told analysts on an earnings call this week. "Including software and hardware, we are carrying out the sales promotions and we do it to boost the sales, and we do not think we have any problems." Masaru Kato, chief financial officer, Sony "But as far as sell-through, three weeks have passed and our sell-through is 500,000. This was announced on the 10th of January. So as a start, I think we had a very - a good start. Kato added: "Including software and hardware, we are carrying out the sales promotions and we do it to boost the sales, and we do not think we have any problems." 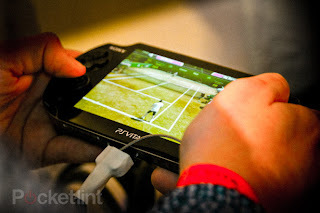 Let us know what you think of PS Vita sales in the comments below!